How would you like to live in a castle rent-free? 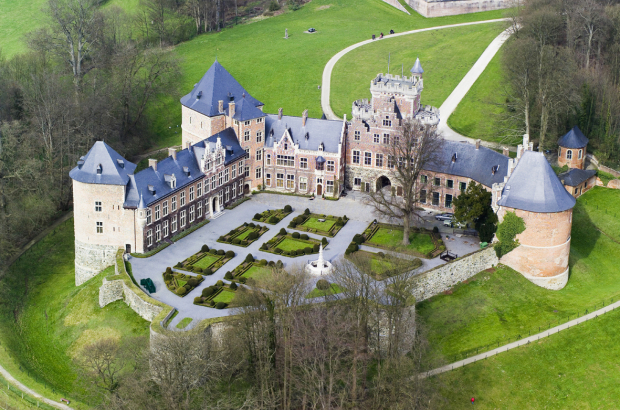 The Flemish government is offering the opportunity at Gaasbeek Castle in Flemish Brabant, not far from Brussels. As castle’s go, Gaasbeek is no slouch. The imposing 13th-century fortification was built as part of a line of defence for Brussels. Turrets, towers, gardens, out-buildings, Gaasbeek has got it all, and hosts beautifully curated exhibitions and events to boot. The roomy three-bedroom flat, located on the second floor of the castle, above the entryway, sadly doesn’t come without strings attached. It will be home to the castle’s new caretaker. That particular job is unpaid outside of the flat (which includes all utilities and internet), though the caretaker and his or her family have full access to the 50-hectare property. Three weeks’ of holiday time is also included in the contract. In terms of qualifications, the government lists absolutely none, so anyone can apply. Be warned, however, you must be on site from 17.00 to 8.30 every single day of your life. Yes, including weekends. Except for your free day, of course – once a month. Caretakers can spend the time outside of that as they choose, though they might need it to sleep: The job requires night-time rounds of the entire castle and grounds. They are also expected to help with visitors, particularly between 17.00 and 18.00, when the grounds close. Caretakers also answer the phone outside of regular hours, take charge of early and late deliveries, hoist the castle’s flags and … wait for it … feed the peacocks.